Loghain stayed in the Fade to battle the Nightmare. While I sometimes think that the developers plan on Hawke staying behind and resolve that in a possible next game, that decision was a no-brainer for my character. Having set her background story as a city elf fleeing from Denerim to the Dalish, there is the simple fact that Loghain (who I really like as a character from my DAO playthrough) made a deal with slavers and sold the alienage elves into slavery to pay for his armies. How would Lyssa ever be able to respect a man like that? 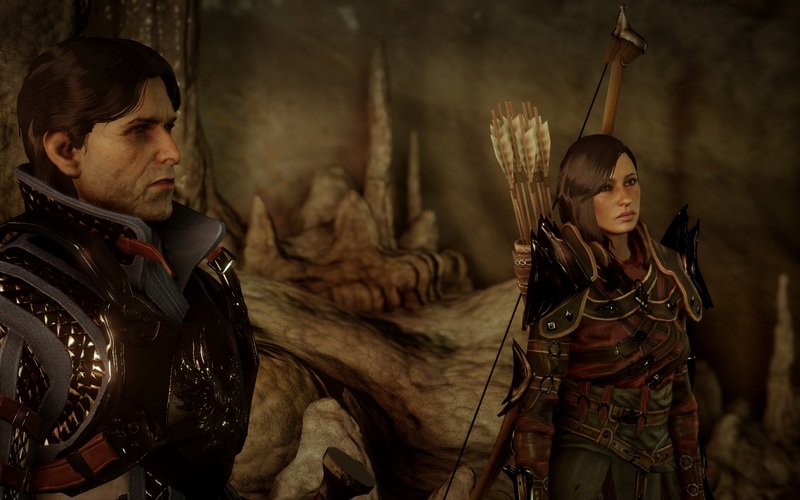 And Adriene Hawke is Adriene and I love her with all my heart. I let Hawke in the Fade in another playthrough and the talk with Varric was so heartbreaking that I swore to myself that I’d never do that again. That is part of why I like to do the battle of Adamant just shortly before going into the endgame – it is such a highlight of the game. And the sense of urgency rises immensely afterwards. So, off I went to What Pride Has Wrought (after having finished all the personal quests for my companions of course and getting my heart broken by Solas). From an aesthetic point-of-view, I adore the Arbor Wilds and I love the temple of Mythal to pieces. With the Yes We Know About Mythal mod, the annoying “let me explain your gods to you” dialogue was thankfully skipped. 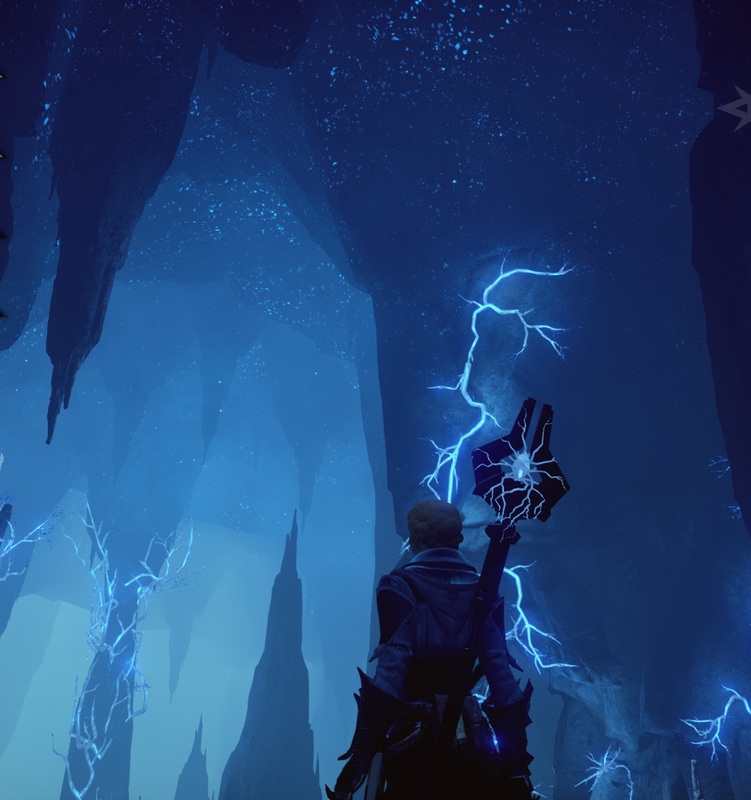 I sped through the temple, sided with the Ancient Elves (duh) and let Morrigan drink from the well (because she still remembered what Solas said about the Gods and was suspicious). After getting back to Skyhold there was the meeting with Flemeth/Mythal, of course, after which Lyssa really was glad she could not be physically controlled and then, before meeting Coryphifish, down we went into the Deep Roads – Decent. I like the DLC, not only because it really is beautiful. The lore is really interesting and some elements were just ownright creepy – skittling feet in the darkness. And, of course, the Nug King 😉 That was awesome. The “heart” was too literally an anatomic heart for me, I could’ve gone with a less obvious visual but thanks to tipps from Anna (like upgrading weapons to do electrical damage) it wasn’t too hard all in all – even though the difficulty was remarkably upped from the main game. Then it was “kiss everyone I can kiss one last time and then kill Corypheus” which was basically over and done with in 15minutes all in all. Worst. Bossfight. Ever. Quick and really boring party (seriously, that would’ve deserved way more love), lovely endscene on the balcony with Cullen aaaand done. Afterwards, the game slept the sleep of the untouched games for months. I knew I still had Jaws of Hakkon to play before going into Trespasser (which I only played once before) but for quite some time I just couldn’t be bothered with the game. I was happy in MEA, then for a while in TSW and then in Guild Wars 2, which still keeps me coming back. But after a few months in more or less exclusively an MMO, I felt the need to go back to a bit more storybased game. So I rebooted it, did a bit of research, went a bit around to get back into the controls… and then something weird happened. More fun than I had for a while in DAI. And even though I never was a completionist in any Dragon Age game, I suddenly thought “huh, maybe just finish that one map. Oh, and slay these dragons I never slayed before. Ah, to get the schematics for that rune I need to do this and this quest” and – I wasn’t bothered by it. I blame Guild Wars for that – it seems like playing that kind of MMO for so long made me accustomed to the very MMO-like features of DAI that got so annoying before. I seriously consider to at least finish the maps. 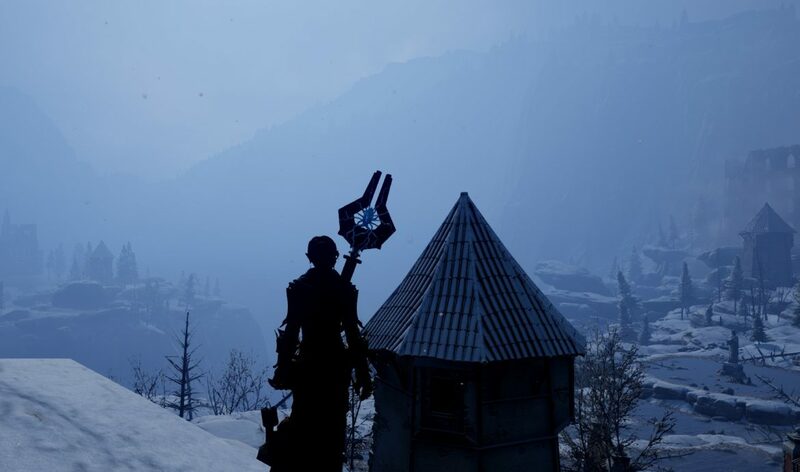 It’s a bit sad that this comes now when I no longer have all companions (Solas is obviously no longer available so I probably will miss a lot of great banter) but I really don’t want to go back another ten hours of the game and then have to fight Corypheus again. Fortunately, I already finished my personal headcanon story with Solas. Anna on Nothing but extreme opinions – but does it have to be that way? Wuestenratte on Nothing but extreme opinions – but does it have to be that way?